Better value Cargo Insurance from Grove & Dean. Cargo Insurance (also known as Marine Cargo Insurance) covers damage to or loss of goods while in transit by land, sea and air. If managed correctly a cargo insurance policy can offer considerable opportunities and cost advantages for both importers & exporters. In the past, many UK exporters avoided cargo insurance thinking it would be costly and take a long time to organise. However more recently, with the need for carefully planned risk management and the expert assistance of specialist brokers like Grove & Dean, the advantages of having a cargo insurance policy are becoming increasingly obvious. In addition, importers & exporters are finding that they can pass on the costs of insurance on to their clients, including costs in the quoted price for extra peace of mind. (Many foreign buyers now see this as essential service provided by the exporter, as cargo insurance rates in UK are often cheaper than those available overseas). A cargo insurance policy can also include a provision of up to 20% of the goods' value to cover loss of profit in the event of a claim so, in terms of planning and business management, the benefits are clear. This is a specialist area and each case is different. 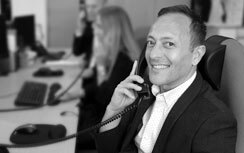 If you would like to discuss your needs or have any questions please contact our specialist to find out more.